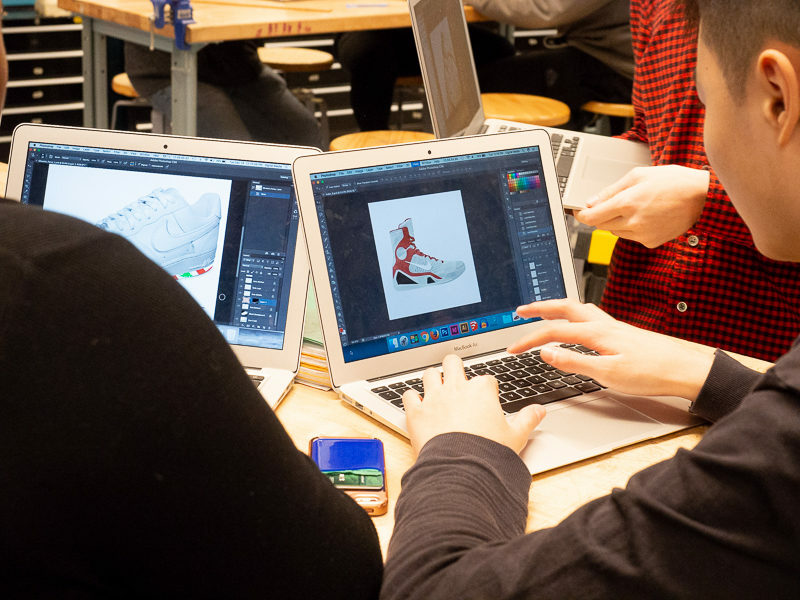 NEW YORK — At New York City’s Urban Assembly Maker Academy high school in lower Manhattan, two things immediately stand out. First, its teachers are rarely standing at the front of the classroom dispensing facts and figures for students to dutifully transcribe. Instead, they’re constantly on the move, going from table to table facilitating group discussions and providing feedback as students work. Second, the students reflect the racial diversity of the city. 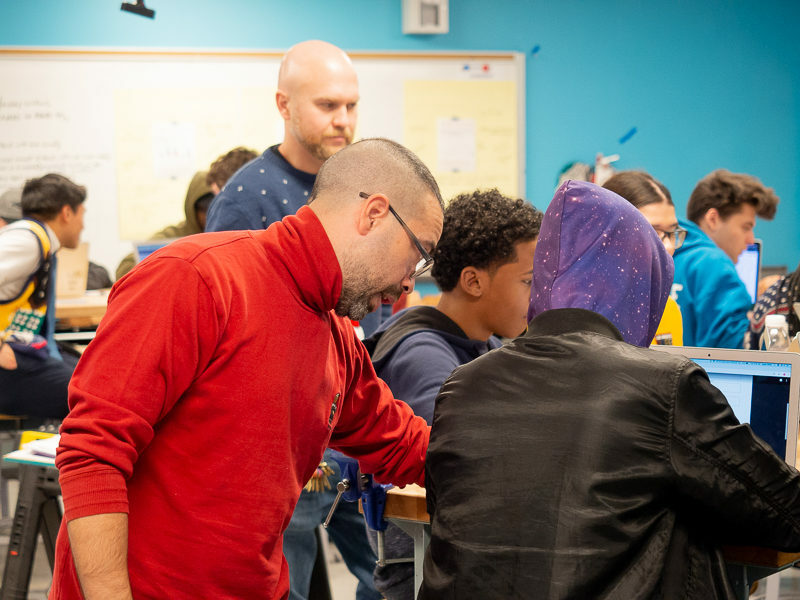 Within one of the nation’s most segregated school systems, Maker Academy has attracted a mix of black, Latino, white and Asian students in which no single group makes up less than 10 percent or more than 46 percent of the population. The school’s leaders made diversity a priority before it even opened five years ago, Bauer says, when they chose not to use grades or test scores as admissions criteria. They also embraced a nontraditional educational model. Like a growing number of schools around the country, Maker Academy uses a mastery-based learning model, in which static letter grades on one-off tests and assignments are jettisoned in favor of detailed feedback that students use to revise their work as they progress toward mastery of clearly defined skills. Instead of receiving a C grade on an essay, for example, a student’s evaluation may include a 1 out of 4 in reasoning, a 2 out of 4 in evidence and a 3 out of 4 in communication, with an opportunity to submit additional drafts throughout the semester. The results are promising. The school saw 90 percent of its inaugural class graduate in 2018 while surpassing the citywide average in measures of college readiness. It ranks high on the education department’s annual school quality surveys, and it’s becoming increasingly attractive to families, with five times more applicants than seats available, according to the most recent city data. With 1.1 million students in 1,800 schools, New York City’s school system is the largest in the country. By the city’s own count, roughly 70 percent of its schools are segregated by race and income. The result is essentially a two-tiered system of public education — academically thriving schools for students from white and affluent families, and underperforming schools that almost exclusively serve black and Latino students from low-income families. New York City Mayor Bill de Blasio and his schools chancellor, Richard Carranza, have made racial and socioeconomic equity a priority. A panel commissioned by the mayor recently released a report calling for schools to mirror the demographics of their surrounding neighborhoods and to implement principles of culturally responsive education as a way to combat the city’s persistent achievement gap. 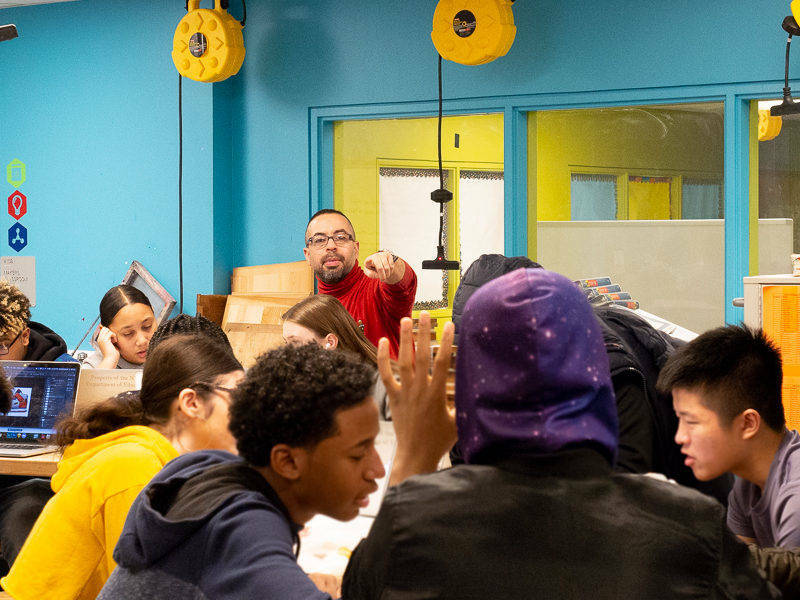 At Maker Academy and about three dozen other mastery-based schools in the city, culturally responsive teaching practices are already taking root. These schools are also among the most diverse in the city. Yet support for these schools within the education department has been lukewarm. A small division that has served as a conduit for sharing information and best practices among the mastery-based schools is now down to a two-person staff, as department resources have shifted to more publicized efforts like a $23 million-dollar anti-bias training program for teachers. This may be a missed opportunity. While mastery-based learning isn’t explicitly linked to racial or economic equity, education experts say that any school willing to make the leap from traditional grades to a complex rubric of individualized student assessments most likely already has supports in place to tackle the difficult, messy work they say is necessary to ensure that children of every background can succeed. To meet those needs, Salzberg and her team turned to a mastery-based model. The school is thriving. With 20 percent of its 400-plus students diagnosed with a learning disability and about half of its kids coming from families in economic need, McCourt nonetheless outperforms citywide averages on state-mandated Regents exams, graduation rates and postsecondary enrollment. Students describe the school as offering a much different experience than what they were used to. “This school wasn’t my first choice, so I didn’t have big expectations,” says college-bound senior Kendra Castro. What Kendra found once she arrived was a deeper level of student-teacher interaction than at her previous schools. A typical class may begin with the instructor in “teacher mode,” going over the day’s agenda for a few minutes, but the rest of the time is spent engaging directly with students as they work, providing feedback and support. Support extends beyond teacher interventions. With a schoolwide emphasis on working in groups, students’ most-used academic resources are often their peers. Working in groups provides a benefit to students who have already mastered the material as well. “Teaching something to someone actually helps me learn it better,” says Kendra. But implementing a mastery-based approach is difficult work, even in schools like McCourt and Maker Academy that have adopted it from the day they opened. City schools that have adopted mastery-based practices — from large, highly competitive schools like Staten Island Technical High School to small, narrowly focused programs like the Young Women’s Leadership School of the Bronx — have gotten some support from a small unit, the Mastery Collaborative, tucked away in the education department’s Office of Leadership. It was launched in 2015 out of a recognition that schools adopting mastery-based principles were often doing so in isolation. Today it serves as a conduit for 37 member schools to exchange expertise regularly. And Nolan says that inquiries about the program from potential members have increased every year. Schools in the collaborative are united not only by an embrace of mastery-based learning but also by the desire to serve a diverse student population. An analysis of Department of Education data by The Hechinger Report found that 29 of the 37 schools either meet the city’s current standard of a racially representative school or reflect (within five percentage points) their borough’s demographic makeup for at least two ethnic groups. Nolan emphasizes that the schools in the collaborative came to mastery-based learning on their own. Her program does not mandate curricula or evaluate practices. It is, however, seen by the schools as a valuable resource. In a system where segregation is the norm, one of the biggest challenges for schools that seek to embrace diversity is creating an environment in which students from all backgrounds can excel. In 2016 the Mastery Collaborative began hosting anti-bias workshops for teachers and staff, spurred by member schools’ ongoing interest in culturally responsive education practices. Credited in large part to the work of educator Gloria Ladson-Billings, culturally responsive education is, first and foremost, a recognition that the academic disparities seen along racial and socioeconomic lines come from systemic practices that minimize anything other than the dominant culture. Zaretta Hammond, the author of the book “Culturally Responsive Teaching and the Brain,” describes a vicious cycle in which low-income students of color begin their education in under-resourced schools with less-experienced teachers, then fall behind academically so that even if they get opportunities to attend a high-performing school later, they arrive grade levels behind their more affluent peers. Culturally responsive teaching seeks to address the inequity, not by dumbing down the curriculum, Hammond says, but by igniting students’ intellectual curiosity through rigorous content reflecting real-world issues. Creating a culturally responsive school environment isn’t achieved by putting up posters of African-American heroes or celebrating Cinco de Mayo, say proponents. It requires teachers and administrators to examine the biases and assumptions they carry, how those affect their relationships with students and, in turn, the students’ ability to master a challenging curriculum. “It’s really hard and deep work for the adults in the building,” says Natasha Capers, coordinator for the NYC Coalition for Educational Justice, a parent-led nonprofit advocating the adoption of a culturally responsive curriculum in city schools. Mastery-based schools, with their emphasis on feedback and revision, seem to be particularly well-suited to this challenge. Inside the city’s education department, however, reaction to these schools’ achievements is notably muted. Despite the city’s announced mandatory anti-bias training for all teachers and school administrators, the deputy chief of staff to the chancellor, David Hay, doesn’t view mastery-based learning as the only or even the preferred method for implementing culturally responsive practices. “You can have CRE in any kind of school, no matter what their guiding philosophy is, if people are willing to do the work,” he says. He doesn’t see great potential for significant numbers of schools across the city emulating the work of schools in the Mastery Collaborative. “[Mastery] is something these schools have chosen to participate in,” he says, noting that such a dramatic move from traditional grading and evaluation may not be a good fit in other school communities. This story about culturally responsive education was produced by The Hechinger Report, a nonprofit, independent news organization focused on inequality and innovation in education. Sign up for the Hechinger newsletter.